We love it when someone’s Biteable video gets lots of views and engagement on social media, but we’d never seen any get over 1 million views until we found this: a group called Greater Minds had a couple of inspirational videos that had gone into the stratosphere. We were astonished to find that the most popular one had over 34 million views! I talked to Zina Magomet from Greater Minds to find out how on earth they did it! Biteable: Tell us about your organization. What is it and what do you do? Zina: We are a new media publishing company based in Essex, UK. We create personal development brands and publish knowledge products to inspire change in the lives of others. All of our products are sold online, with customers in every single country worldwide. Right now we have 3 personal development brands: PersonalGrowth.com, TheLawOfAttraction.com and OrganicSoul.com. We will be launching an additional 3 brands in 2017 focused on hypnosis, meditation and life fulfillment. Biteable: How many followers do you have on Facebook and how do you think you’ve attracted so many? Zina: Our flagship brand, The Law Of Attraction has a Facebook page with over 3 million likes. There are a number of factors that have contributed to our growth since we started, but the not so secret “secret sauce” to our success has always been based on the simple premise of providing good value to our fans. When we ensure that every post is focused on “going to give”, it turns into a tidal wave of more likes, shares, comments and, of course, new fans. In everything we do (sending emails, making videos, producing adverts) we “go with an attitude to give” rather than an attitude to get. Biteable: How many people have seen your Biteable videos now? Zina: We have created quite a few of them now, so it’s not that easy to count. The two most successful Biteable videos have received 31M and 34M views. A couple over 5M views and there were a few that didn’t do as well – around 300K views. 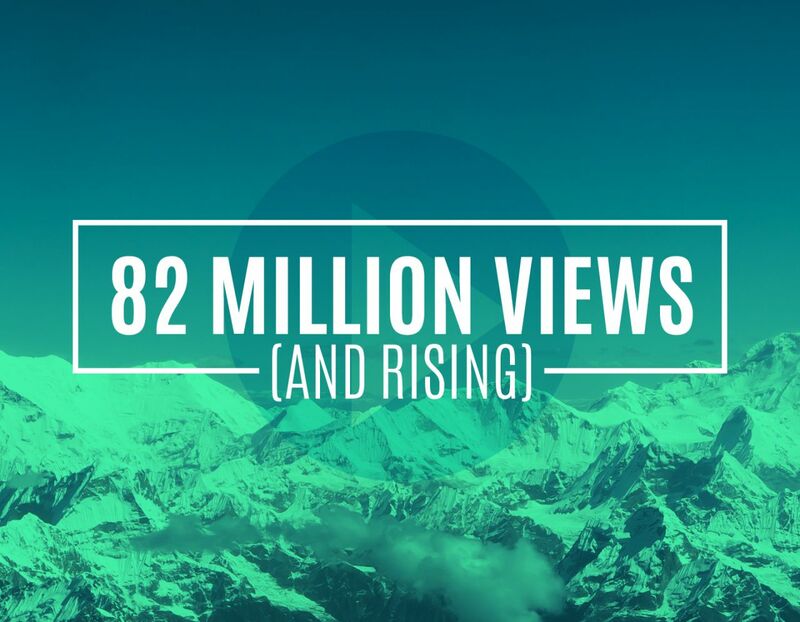 So as a rough estimate, over 82 million views in total. Biteable: What do you think makes a good viral video and why do you think people share it with others? Zina: Other than “going to give”, there are several other factors to keep in mind when creating videos – the correct format, video length, a good thumbnail, a good title, correct tags etc., but it is mostly about coming up with an idea that people will love. If you want a video to go viral, it should be something everyone can relate to. Something sweet and upbeat. Choosing a good soundtrack can also help – we regularly get people asking us for the names of the songs in our videos. But our main objective is always there – create value, be informative and be inspiring. Biteable: Obviously, some of your videos are more successful than others, have you any theories about what might make one video more popular than another? Zina: I would say it’s similar to being a DJ. Not everyone will enjoy your set but if they turned up at your party, you would get a good idea of what they are into and do your best to spin the right tunes. This is just the same for creating a video that will really resonate with your audience. Something that is on their mind already and that will help them solve their problem. Another way to figure out a topic or idea that could be the next viral sensation within your community is to look back over your most successful content and ask – what did they love and how can you repurpose that into a video? Biteable: Did you make videos before you tried Biteable? Zina: Biteable was the first online tool that we had tried. Before that, we were using Windows Movie Maker. Zina: It was too time-consuming creating videos in Windows Movie Maker. Finding good background footage, audio tracks, adding text and editing all the layers is a huge inconvenience in the process. Zina: With Biteable it was much easier. It takes us around 20 minutes to create the video after defining the script. We like the choice available for picking backgrounds, the layout is intuitive and no special training is needed. Biteable: Have you seen an increase of business or internet traffic since you posted your Biteable videos? Zina: Absolutely. The likes on our Facebook page have increased dramatically since we started posting videos. We have broken all our website traffic records as well and product sales have increased by 110% over the past 30 days.